Do you feel like you can’t get out to the barn often enough to to keep your horse in regular work? Does your horse need to learn something new, like jumping or lead changes? 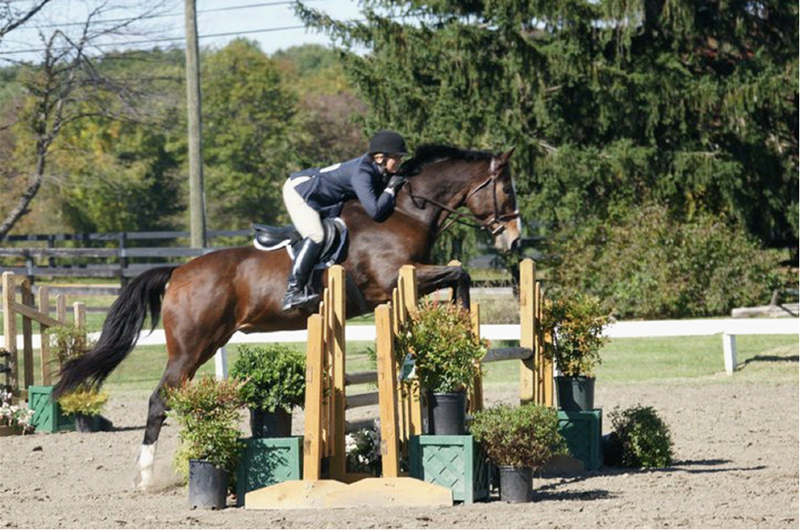 Could your horse benefit from more experience in the show ring? 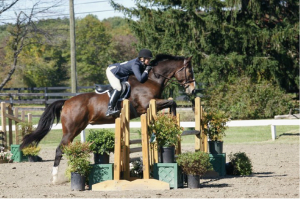 Are you trying to sell your horse, but feel he could benefit from a “tune-up”? Maybe you don’t ride, but just want to be a part of our majestic sport as an owner. Most often, our training clients are owners who ride and want to be a part of the training process. 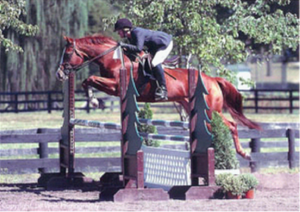 In these cases, training is done in conjunction with riding lessons and they complement each other. We love training horses and we can bring out the best in yours! 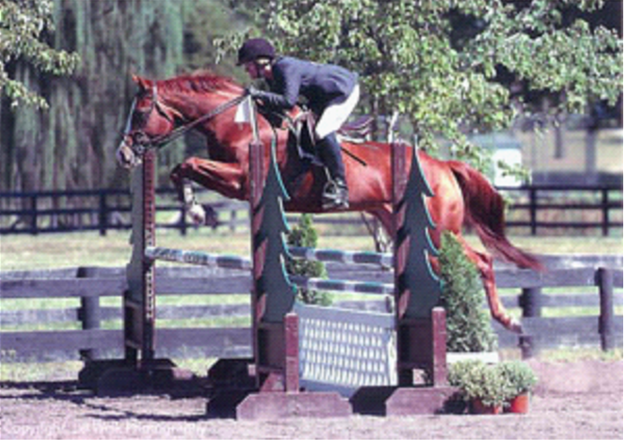 A successful jumping round is based on a solid foundation of flatwork. To jump well, a horse has to be ride-able: responsive to the aids, supple, accepting of the bit, traveling with impulsion, calm and fit. He needs to turn well and he needs to go be adjustable. If your horse is well-broke on the flat, the jumps will take care of themselves. Our strong emphasis on flatwork basics will help maximize your horse’s athletic abilities. See Terri’s article in the June 2010 issue of Practical Horseman Magazine to learn more about Terri’s philosophy and her checklist for riders. Don’t have time to get out to the barn? Whether you’re a working professional who travels a lot, a parent with a hectic schedule, or a student with a huge class-load or exams approaching, we can keep your horse in work and show-ready. For hard-to-keep-fit horses, we have a great conditioning program that includes riding on our hills for increased muscle and wind. This helps horses use their bodies better, whether it’s for jumping, or lead changes, and just better stamina on long show days. Each horse is treated as an individual and is brought along at the best pace for him. For those horses just getting started, we begin with a ground-work foundation that includes, daily handling, introduction to cross-ties and grooming, walking and trotting in hand (both in halter and bridle), clipping and bathing. Once ground work has been well-established or re-established, we advance to saddling, lunging, mounting and under-saddle work: walk, trot, canter and jumping, when ready. Whether training him for show or for pleasure, we can bring your horse to his fullest potential. If you have a young or green horse ready to make his debut in the show ring, we can help. We train the horse here to get used to things he’ll come across in the ring: from new or unusual jumps, to larger crowds of horses, to unusual stimuli outside the ring. Then we will guide your horse through the showing process, so he’s happy, relaxed and able to give his best effort. 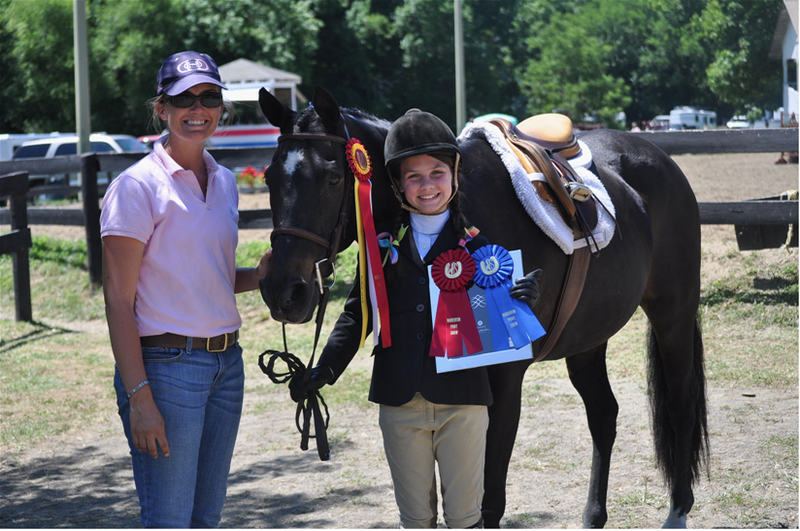 When your horse is ready, we happily hand over the reins and help you transition to showing him yourself, if desired. One of our greatest achievements is when a horse owner can take over the ride and show their own horse. Visit our Show Calendar page to learn more about the shows we attend. If you want to sell your horse, we can prepare and market him to buyers. Our frequent attendance at horse shows, as well as our nationwide contacts, ensure that your horse is marketed to a broad audience. Please visit our Sale page for a listing of current horses and ponies available. We teach more than just WHAT to do: we teach you HOW and WHY. Riding is more than knowing the right position or giving the right cue at the right time. It is understanding how the horse is built so you can ride effectively and expect consistent results. It’s also about developing timing and feel. We cover a lot of riding theory in lessons, so you can understand your horse’s abilities, strengths and tendencies and improve your performance. For example, if your horse needs to brush up on his lead changes and you aren’t sure you’re asking correctly, we can retrain the lead change on your horse (increasing his responsiveness to the aids, strengthening his hindquarters). At the same time, we will teach you the mechanics of the flying change, the proper aids to apply and when to apply them. Whatever your needs, we can improve your horse’s performance, and teach you how to get that performance from him, too. To learn more, visit our boarding and lesson pages. Or contact us for more information.